Features: Mic input, Phantom Power, High impedance instrument input. Each channel with 4 band equalizer, phase switch, Lo cut, -10 db pad, 24 bit effects that pans between channels. Channel switch and mute. 3 line drivers (direct outs), head-phone output, and Neutrik combo sockets for speakon and jack. 230/115 volt mains power. Designed and hand made (!) by bassist Jesper Lundgaard from Denmark. 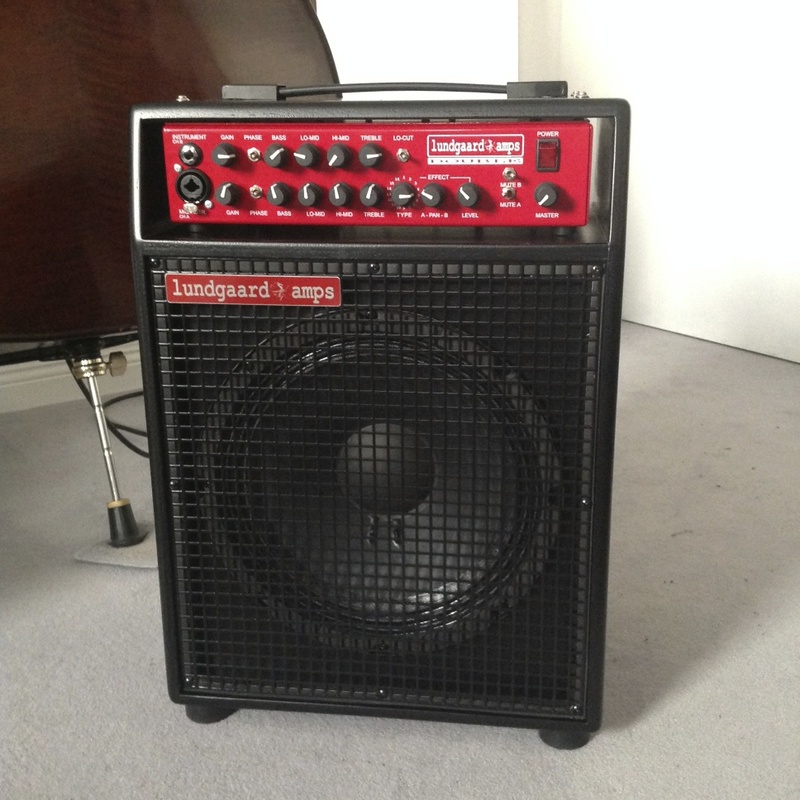 I can honestly recommend Jespers amplifiers. I tried the “hugo”, an amplifier he designed for Hugo Rasmussen with just bass and treble controls, a tone switch and a phase switch, one 10″ speaker, 500W, a mute switch and an effects loop. It weighs 7,9 kilos and is the most portable, yet most amazingly natural sounding amp I´ve ever used. I´ve tried it on his bass with a Realist pickup, and quite extensively on my own bass with a Schertler dyn-b. That pickup with this amp is a great combination. The amps are built whenever he gets an order, so he offers to fulfill wishes (e.g. when it comes to eq frequencies). So, whenever you´re in Copenhagen, give those amps a try and be honestly amazed! Hello,i bought a ArcoAmp DB510 6 month ago.And i had all amp before (OrangeCube 30years ago then Ampeg-Laney-Polytone-GK to Acoustic Image and Walter Woods to)but Arco is the best.Completely pure and neutral.Very powerfull but lightweight small.Incredible,i was waiting for it since always.BRAVO JESPER and thak you.